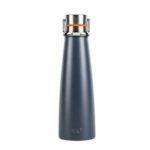 The Xiaomi portable intelligent thermal vacuum water bottle is a product for every household. 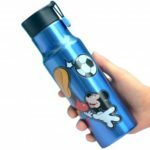 The vacuum water bottle has a streamlined body design which makes it convenient and comfortable to hold. With built-in sensitive temperature sensor, you can easily know the liquid temperature with its energy-saving OLED display screen.With a refined vacuum technology, it keeps water warm or cold for over 5 hours. We all need either a cold drink or hot one to preserve the body metabolism. This is exactly what this product offers. Low power consumption OLED display enables you to know the water temperature, give you warm companion anytime anywhere. Built-in high sensitive temperature sensor can measure water temperature with accuracy within -1 percent to 1 percent (turn the cup upside down or shake the cup up and down before reading the temperature). 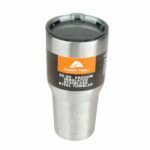 Double layer stainless steel cup ensures long-lasting insulation and cold protection. With a refined vacuum technology, it is capable of keeping water warm or cold for over 5 hours. 180 degree double helix curve offers you comfortable grip. Damping rotating cup cover can effectively prevent undesignedly opening and support single hand opening. 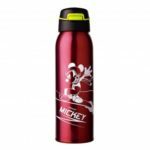 Water bottle body is crafted from food-grade 304 stainless steel, erosion-resistant, and high-temperature resistant; sealing part made of food-grade silicone, ensures high performance in sealing. 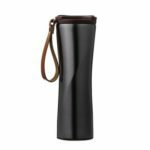 Coming with a portable leather rope with visible cutting lines, natural and textured, convenient for everyday carrying.